Well folks it’s that time of the year again! No….I’m not talking about changing weather, or colder temperatures or falling leaves. And no, I’m not even talking about the amazing, fantastic, super awesome Butler livestock judging team (or football team for that matter!) preparing for the national championship win! 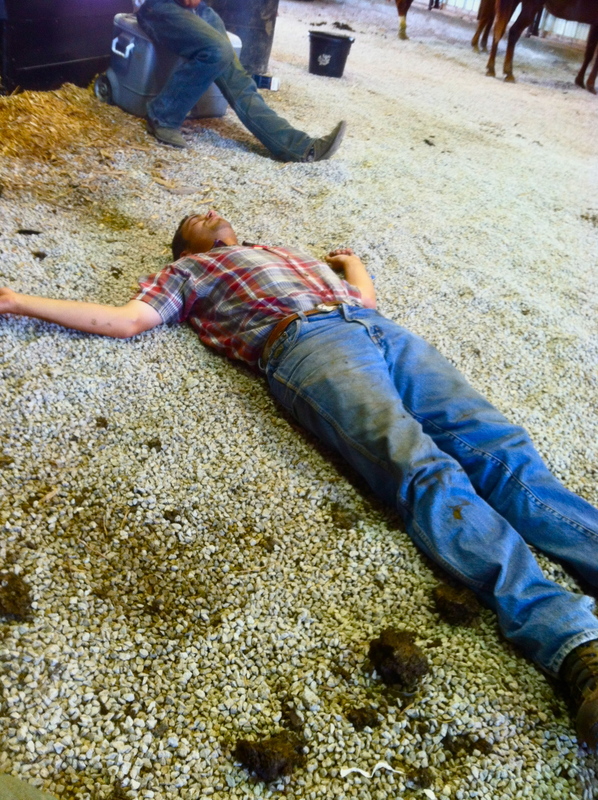 I’m talking about the “Best of the Barns” awards. 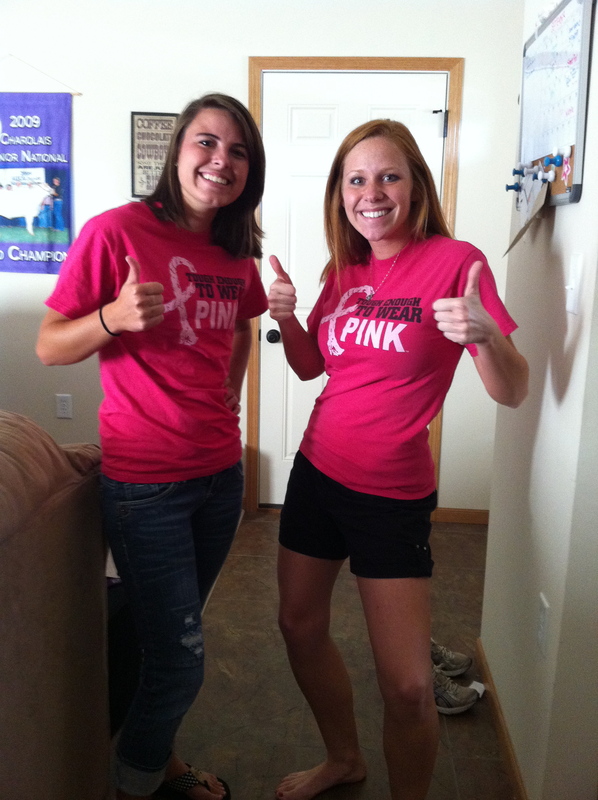 2) Vote for Butler Alumni! Let me help you out…. 3) Enter email address and push submit! Hopefully Butler and Butler alumni will rise this year thank to your support! 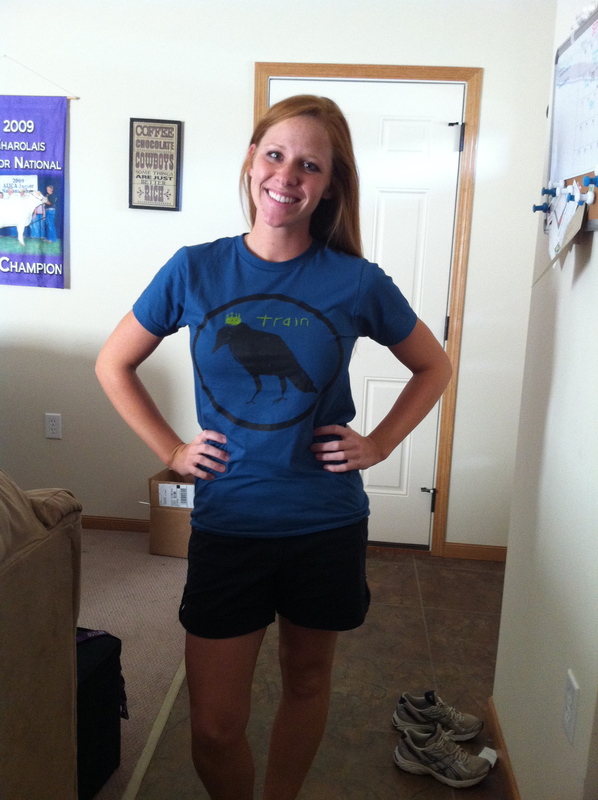 Big Kid School is for Cute New T-shirts! Long gone are those beautiful days where I could attend class and every one of my teachers would know my name by the second week. Long gone are those beautiful days when you didn’t have a test/quiz in two different ag classes on the same day because you had one teacher for all of your ag classes and she wouldn’t give you a double whammy (Thank you SO much for that Elissa.. you were an angel). Long gone are those beautiful days when your Spanish teacher would talk to you in English and you actually knew what was going down in class (Thank you SO much for that M.. you’re the bomb). Long gone are those beautiful Butler days. 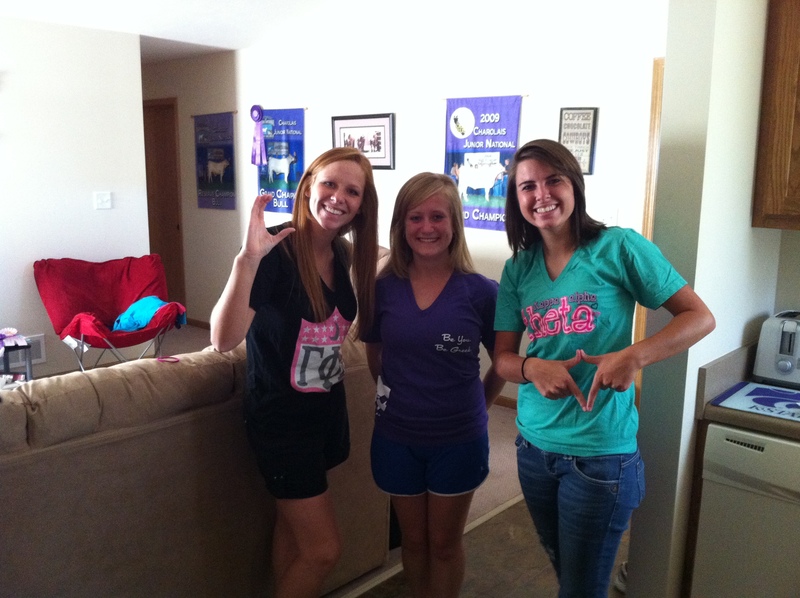 Say HELLOOO to cute new t-shirts at K-State! It seems like for EVERY single club/organization you join there are t-shirts that are either required or “strongly suggested”. And I have the hottest new supermodels on this season’s runways to show them off! 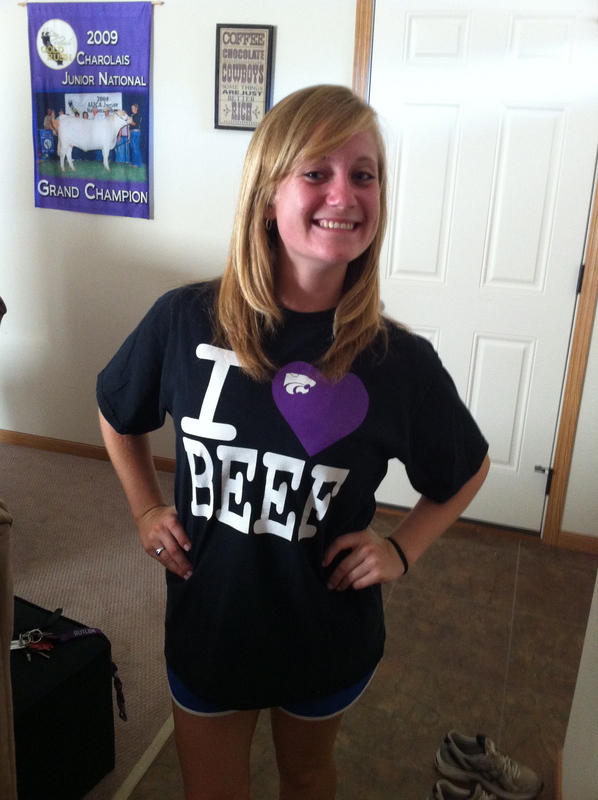 Here is the hotty-toddy Analena showing off her love for beef… particularly K-State beef! Analena enjoys long walks on the beach and helping her friends with their Chemistry homework. Here is hot mama-cita Megan. 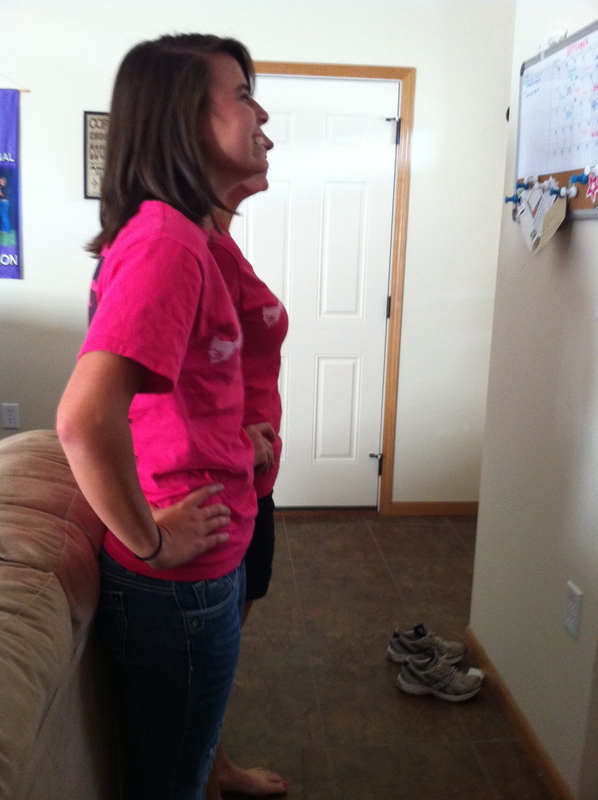 She is very active in her sorority, Sigma Alpha. 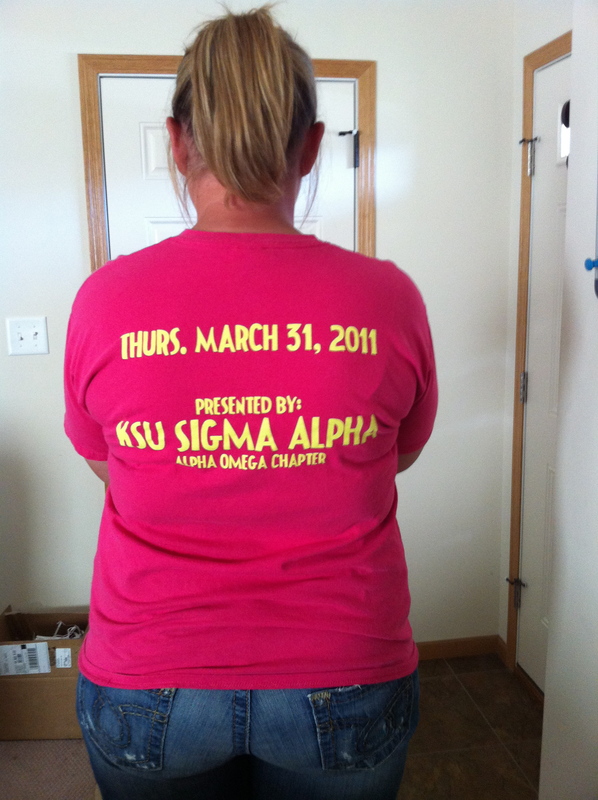 Sigma Alpha is a professional ag sorority. Megan loves Red Diamond Sweet Tea and her new iPad. Pictured above is Hannah and Sarah. They embrace their differences and stand for world peace and equality among mankind. And then of course there is always the option to “Be You. 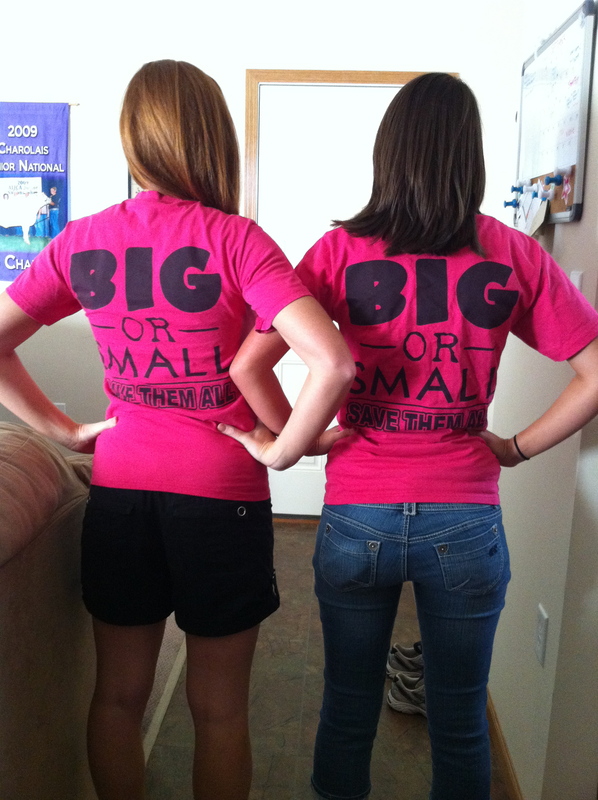 Be Greek” along with 546y47463829 other girls on the KSU campus. Not only does joining a sorority give you that “special bond” that only sisterhood can, but you also get to invest in about 36 new t-shirts each semester! But this is by FAR the best t-shirt I have gotten yet. It is my new Train shirt from the most perfect, amazing and magical night of my life!!! (translation: I got to see Train in Kansas City this past weekend!!!) My life is now complete. Butler Alumni-Your Future Starts HERE! Butler alumni, Cody Palen grew up in Scott City, Kansas. He was an active member of 4-H and FFA, and to this day he still co-owns/operates Palen Club Lambs with his family. Cody came to school at Butler Community College, where he earned A.S. degree in Agriculture in 2006. He was also a member of the Butler Agriculture Club and he competed on one of the most successful Livestock Judging Teams Butler has ever fielded. 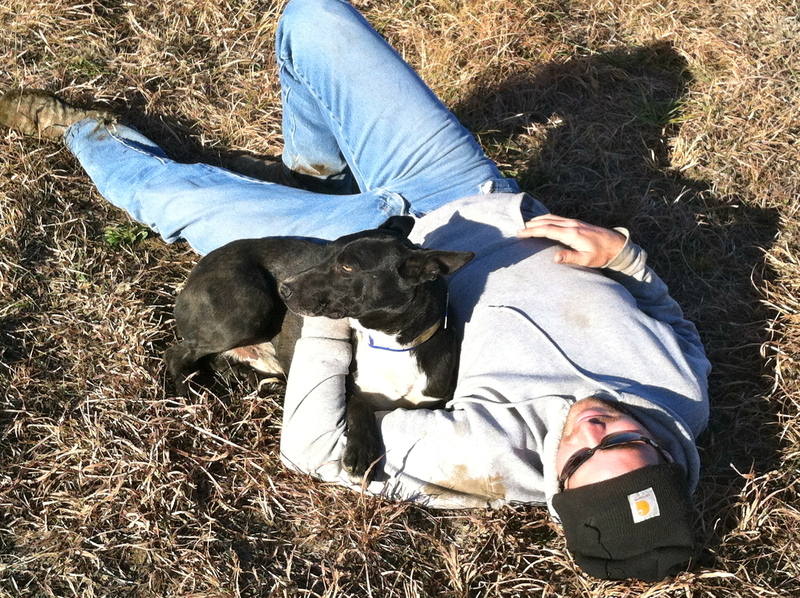 After his time at Butler, Cody followed his heart to Kansas State University, where he majored in Animal Science and Industry with a Business option. 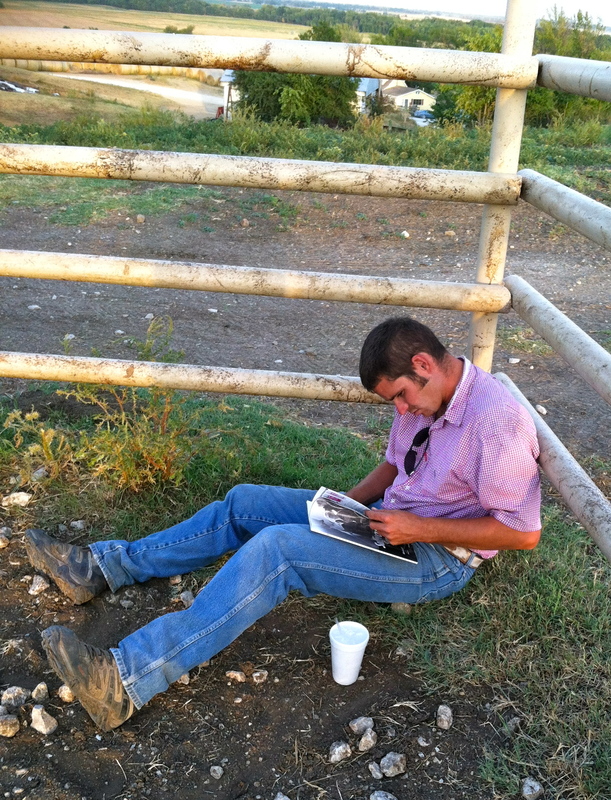 At K-State Cody was also a member of Block and Bridle and the Livestock Judging Team. In the three years since he graduated from K-State, Cody has found ways to step up and provide leadership within his community. 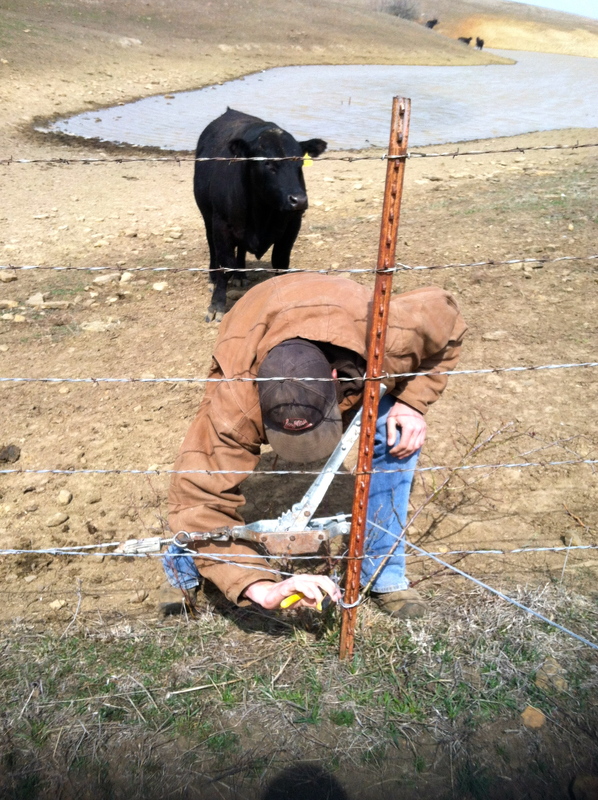 He is a member of the current Kansas Livestock Association Young Stockman’s Academy’s class, and is also a member of the Kansas Bankers Association where he participates in the YBOK program (Young Bankers of Kansas). 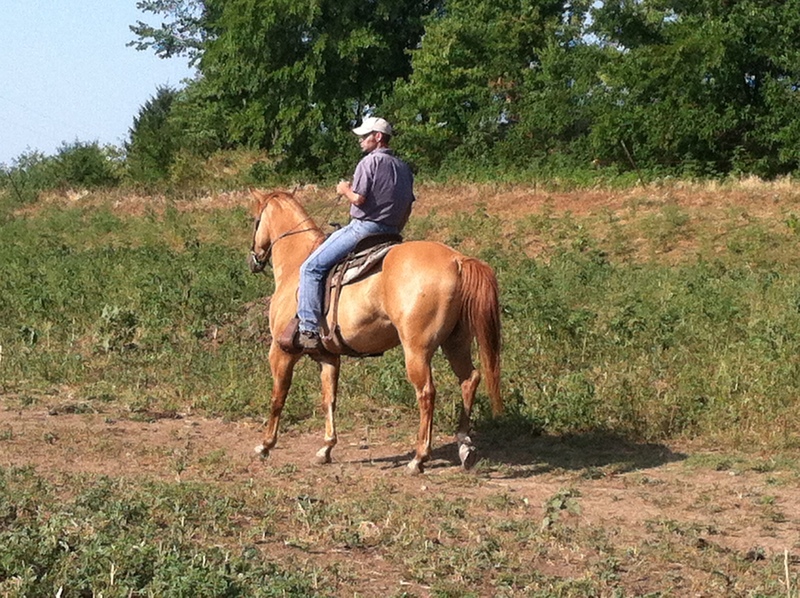 Cody enjoys hunting, golfing and most of all staying actively involved with youth livestock programs. 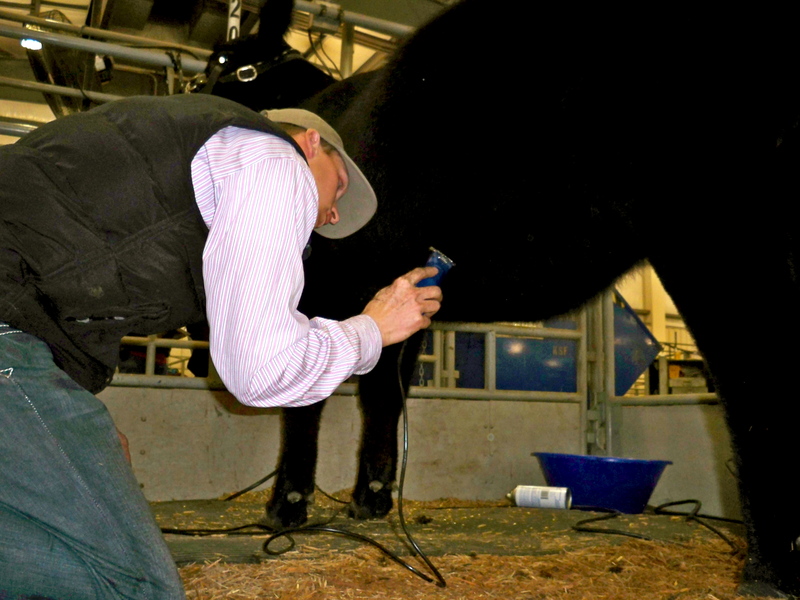 He judges shows and has helped to put on show and selection clinics, as well as helping to coach local 4-h judging teams. For Cody, success has been a result of making the most of every opportunity he has been presented with. He has always worked hard, but he realized early on that Butler was the first step in his future. The contacts and friends he has made along the way, as well as the activities he has chosen to become involved with have prepared him to take on any challenge. 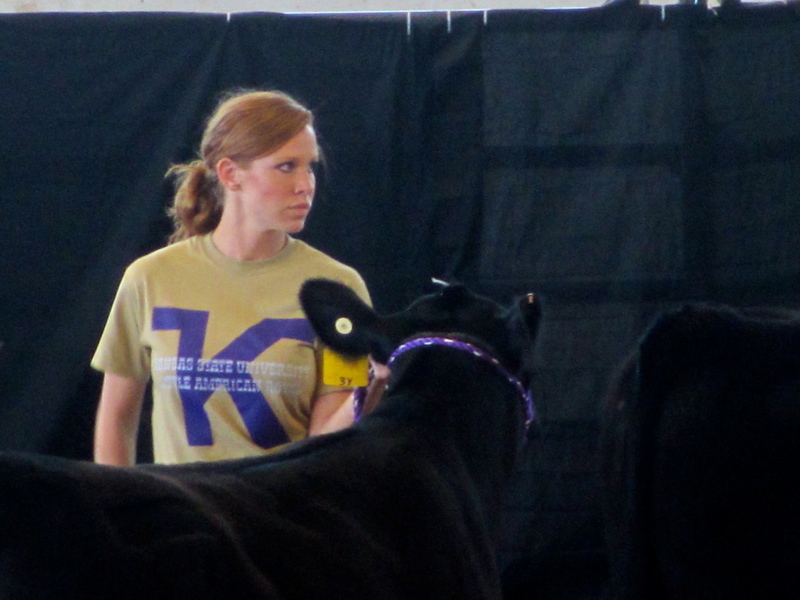 “I have found my livestock judging experiences from both Butler Community College and Kansas State University to pay dividends. My current employer along with others purposely seeks out individuals with agriculture and specifically judging backgrounds for their ability to make a clear decision and defend it”. BCC alumna Wendy Mayo originally hails from Garden City, Kansas. The agricultural roots in her family run deep. This tough, no-nonsense young lady learned the meaning of hard work while helping out on her family’s diversified operation with both cattle and farming. There were no “girls” jobs-Wendy and her sister filled in wherever and whenever needed. Wendy was also very active in 4-H and FFA. 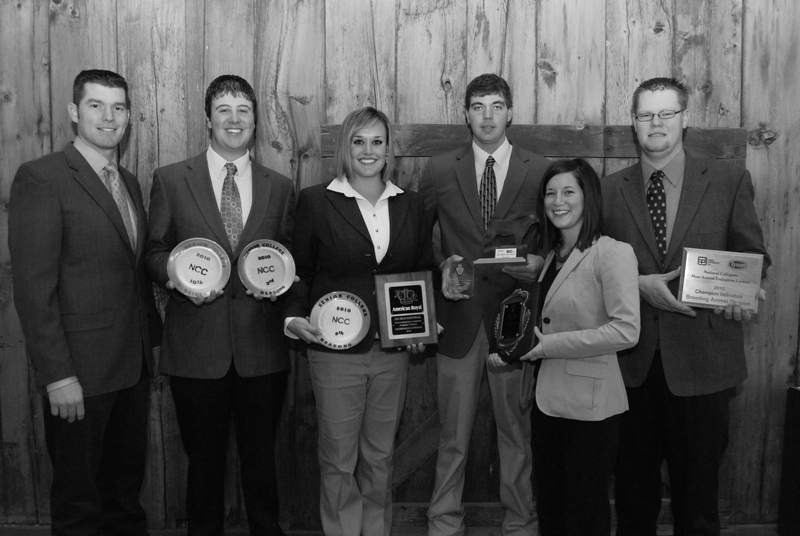 While at Butler, Wendy was a valuable part of an extremely successful Livestock Judging Team. 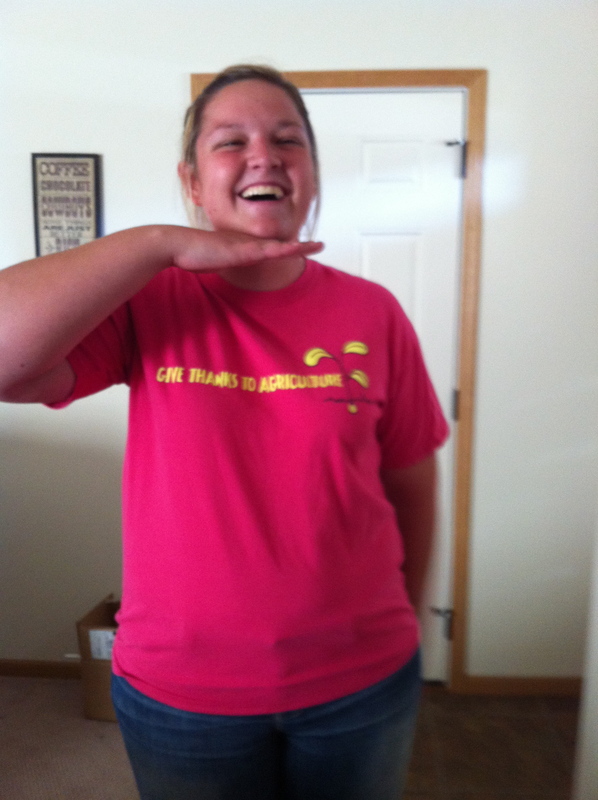 She was also involved in Grizzly Ambassadors and the Butler Ag Club. From day 1 Wendy was always on the lookout to find ways to form connections. After graduating from Butler with a degree in Agriculture Wendy continued her education at Kansas State University-for a Kansas girl like Wendy being a Wildcat is livin’ the dream. At K-State she was an Ag Ambassador and she got very involved with the Ag Communications department, twice serving as editor of the Agriculturist (a student-produced publication from the Ag communications and Journalism department). 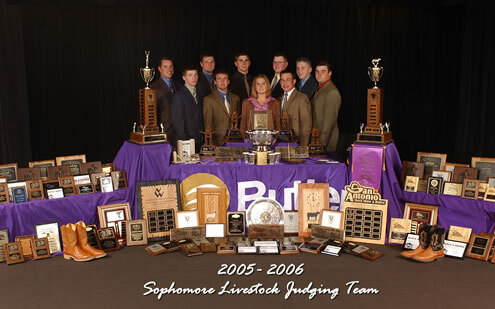 Wendy also competed on the K-State Livestock Judging Team and was selected as the student speaker at the December 2005 K-State College of Agriculture graduation ceremony where she graduated with dual degrees in Ag Communications and Journalism and Animal Science. Today, Wendy’s background comes into play every day because she needs to understand both beef production and the best ways to communicate with beef producers. 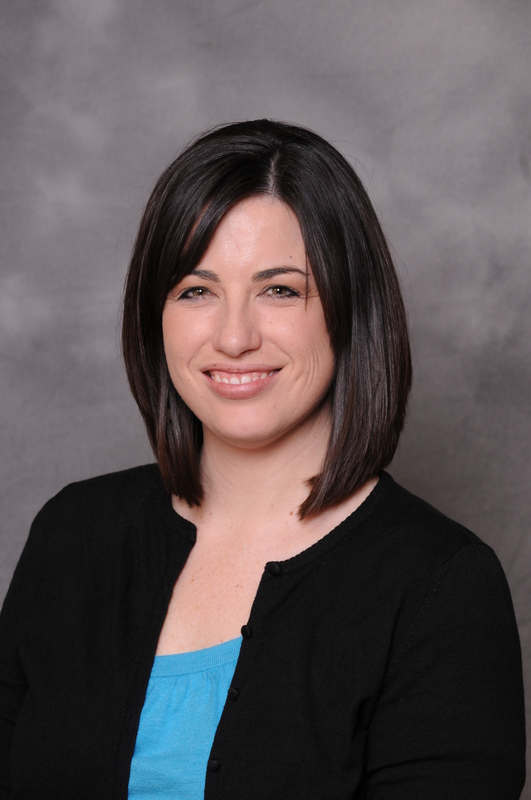 Since college, Wendy has worked for Bader Rutter & Associates, a marketing communications agency. Wendy works on the Pfizer Animal Health business in both public relations and account management. She works with a team that is responsible for helping plan, concept and execute all of the marketing communications materials and tactics for all of the Pfizer Animal Health cattle brands. 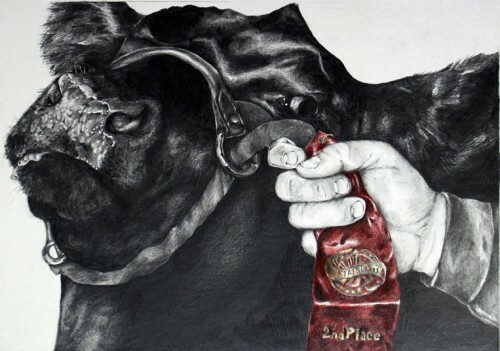 More specifically, they build ads, sales and public relations materials or anything else that producers and veterinarians see promoting Pfizer Animal Health products. Wendy also has public relations responsibilities that include writing and releasing press releases and other editorial content to beef publications, helping produce TV segments, working with editors from beef publications, like BEEF and Drovers, to help them cover animal health-related topics, interviewing producers who use Pfizer products and placing stories about them, helping organize Pfizer activities at industry events and tradeshows. On a daily basis, she is in contact with the Pfizer marketing team, editors and broadcasters, industry groups like NCBA or event vendors. She also helps to build advertising and sales materials for the Pfizer Animal Genetics business. I would encourage students to always keep their eyes open and remember that agriculture is a very small community. When I took my current job out of school, I didn’t think that it was related to anything I had done previously. But, I work with people on a daily basis that I met through judging, school, internships and other industry-related activities while I was in college, and before. My career path thus far has been shaped by several relationships that have opened the door to opportunities. So, I encourage students to always remember that the connections they are making now will help lead to opportunities both professionally and personally for years to come. As you can see, Wendy Mayo is busy, by choice. The work ethic she developed on her family farm prepared her to meet challenges along the way, and the work she did in the classroom prepared her to have a viable understanding of the industry. Starting with her time at Butler, it was the people she met in clubs, on competitive judging teams, and in activity groups that continue to provide her with an ever-growing industry network. Butler Alumni, Ben Williams grew up in North Central Indiana on a diversified livestock operation. From the start, Ben was active in 4-H and high school sports (especially basketball-a must for those in the Hoosier state). His family currently raises club lambs and a handful of show calves. Check them out at Williams Diamond Club Lambs. One thing is certain, at home Ben learned the value of doing things the right way and has never wavered from those beliefs. 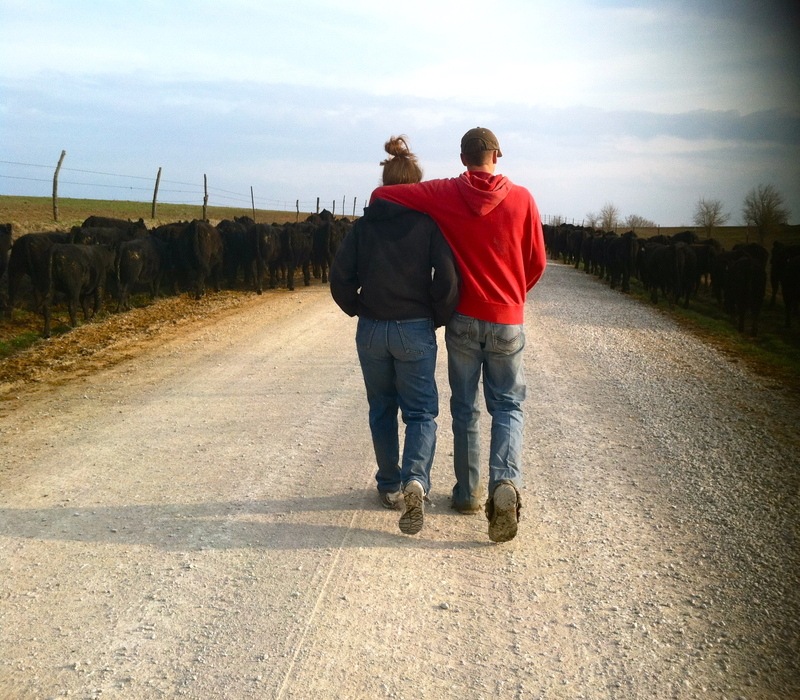 Ben’s interest in livestock evaluation led him to Butler Community College where he was a member of the Livestock Judging Team, earning All American status his sophomore year. 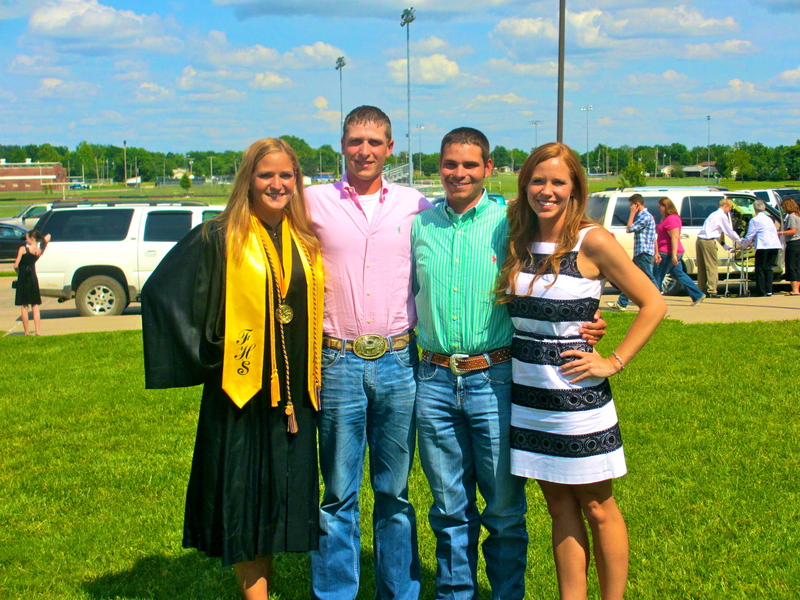 He was also a member of the Ag club and served as the Ag club student advisor representative. After earning his Agriculture degree Ben continued his education at Kansas State University. While he was earning his bachelors degree in Animal Science, Ben competed on the 2006 Livestock Judging Team, was a member of Alpha Gamma Rho Fraternity and also Block and Bridle. He also completed an internship with Dr. Dale Blasi working with National Animal Identification Systems. Like many Butler students who transfer on, Ben found the time to accomplish a lot, but yet he still managed to complete his undergraduate degree in just 4 years. After K-State, Ben earned at Master’s Degree in Animal Science with emphasis in meat science and muscle biology at the University of Nebraska while also serving as the assistant livestock judging team coach. He was also a member of American Meat Science association. 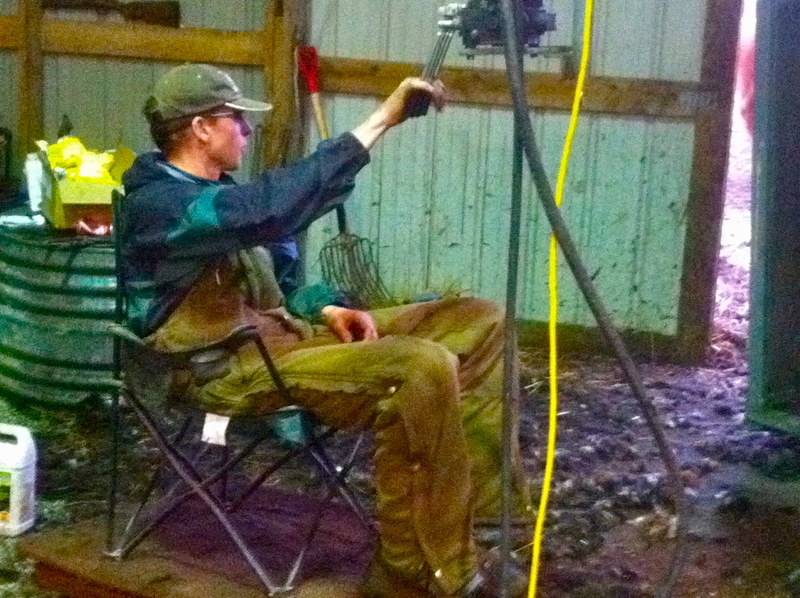 Currently, Ben is the Livestock Judging Coach for North Dakota State University. Part of his job is also in NDSU extension where he is involved with speaking to producers and youth about livestock selection and production. He also trains FFA and 4-H coaches about livestock judging and is responsible for developing livestock judging educational materials. Ben is the North Dakota spokesperson for AK-SAR-BEN and also the ND state fair Superintendent advisor. 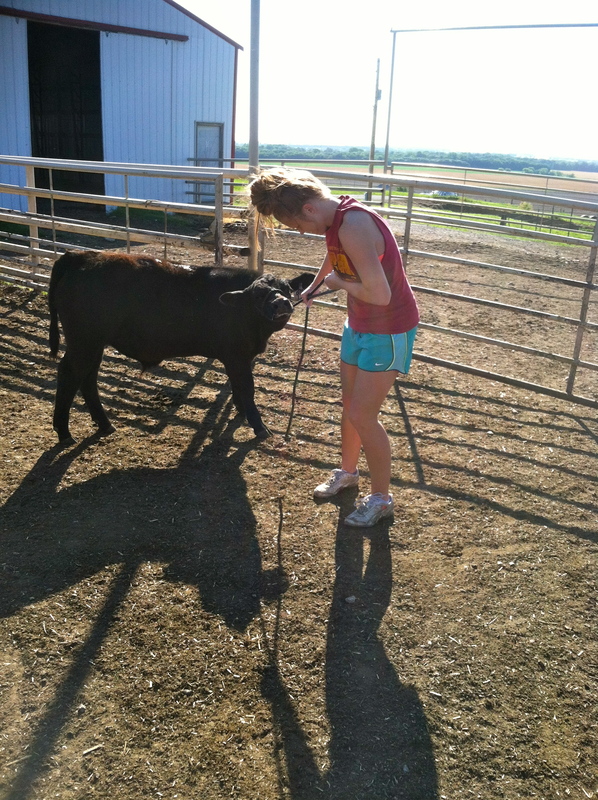 Check out the NDSU Animal Science home page to see what they’re up to. As you can see Ben is a Butler graduate who is making an impact everyday. Like many Butler graduates he is finding a way to carve out his place in the Agricultural world with integrity and the conviction to remain true to himself. Butler Alumni, Dustin Rippe grew up on a diversified farming and seedstock cow/calf operation in south central Nebraska. 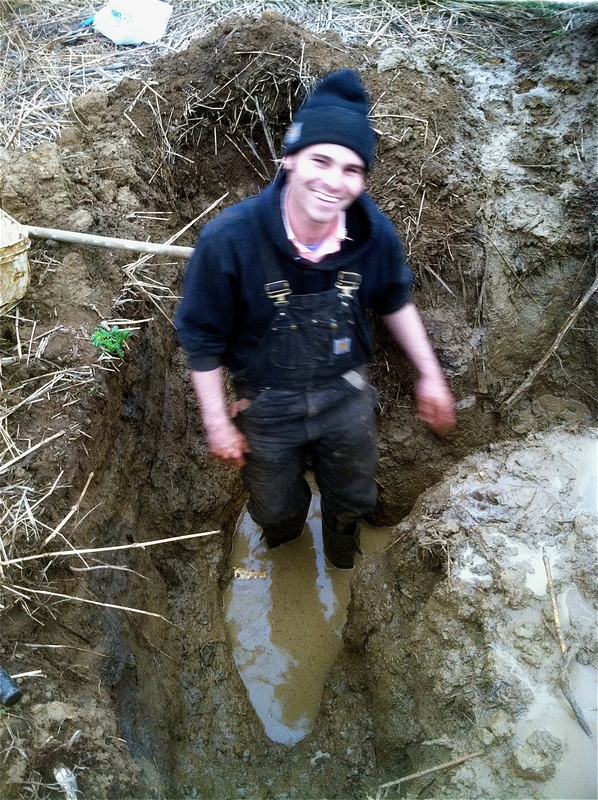 To this day, Dustin is still very involved in his family’s operation; check them out at Rippe Gelbvieh. 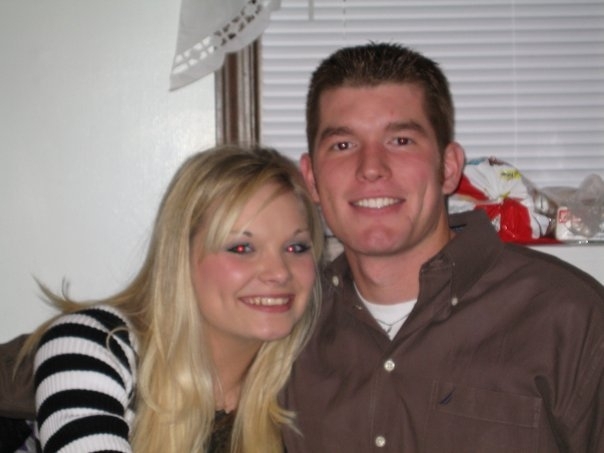 After high school, Dustin went to school at Southeast Community College in Beatrice, NE (not too terribly far from his hometown). 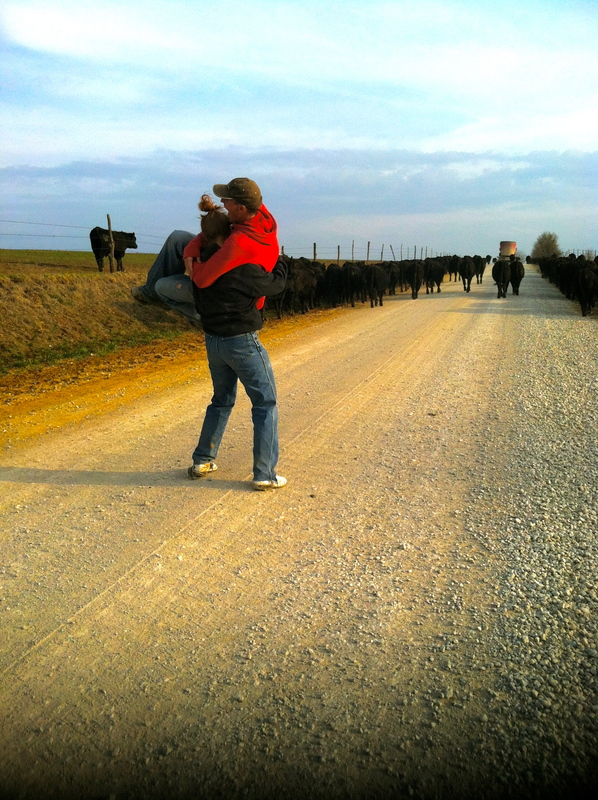 There, during his first semester, he fell in love with livestock judging. The rest is history. With the courage to step outside of his comfort zone and a lot of hard work Dustin, transferred to Butler, became an important part of an extremely successful livestock judging team, earned an A.S. degree in Agriculture and set himself on a new course. After Butler, Dustin attended Colorado State University where he was on the livestock judging team, and became a member of the Alpha Gamma Rho fraternity. Dustin was also on the Seedstock Merchandising Team as well as various agricultural groups and clubs. During his last semester, this small-town kid expanded his horizons and traveled abroad to New Zealand. It’s obvious that Dustin was an involved student who made the most of every opportunity available. 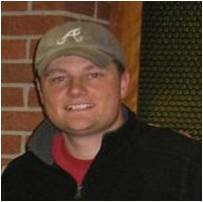 He graduated from CSU in 2005, right on schedule, with a double major in Animal Science and Agricultural Business. 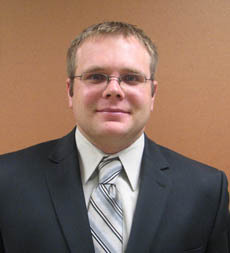 Since his graduation, Dustin has worked for Meyer Natural Angus on the procurement team. He then, worked for Cattle Fax in Denver as an analyst where he devoted most of his time to working with feedlot, stocker, and cow calf managers/owners as well as analyzing the commodity futures markets. 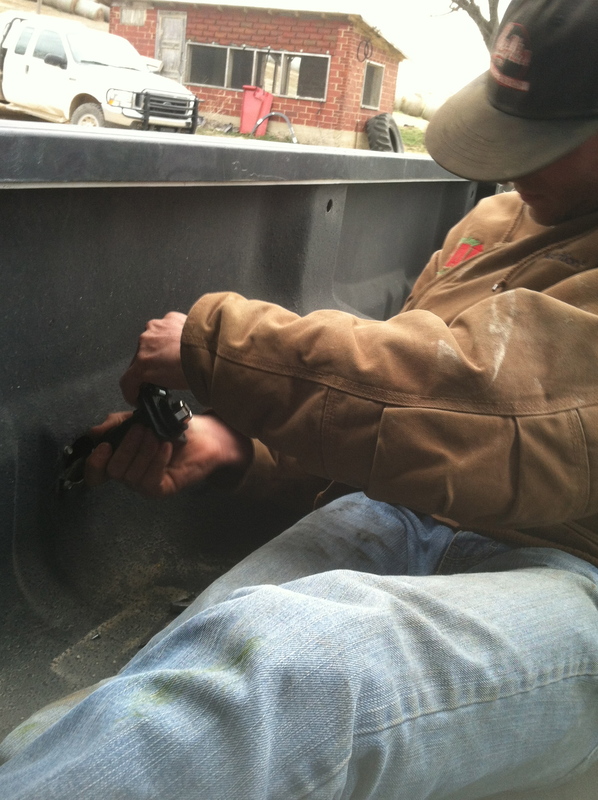 Currently, Dustin works for Gottsch Enterprises out of Hastings, Ne. They are a very diversified company but their main business is feeding cattle. With Gottsch, Dustin is in charge of buying corn and handling the risk management of the cattle feeding business using futures and options as financial protection. As you can see, Dustin’s attention to his academics and willingness to explore new opportunities has made him very marketable. Dustin has always liked to keep himself busy. Today, in addition to his professional duties he still handles the marketing of the bulls for Rippe Gelbvieh, his family’s Seedstock operation at home in Hubbell, NE. Dustin and his wife Karla will forever be a part of the BCC Grizzly family. Like many successful Butler graduates, Dustin still is that small-town kid, at heart, who took the initiative to find his direction at Butler Community College.